As a new representative your primary goal is to be able to collect orders, payment, and place all orders on the order due date based on your RPS Schedule. What is an RPS Schedule you ask? 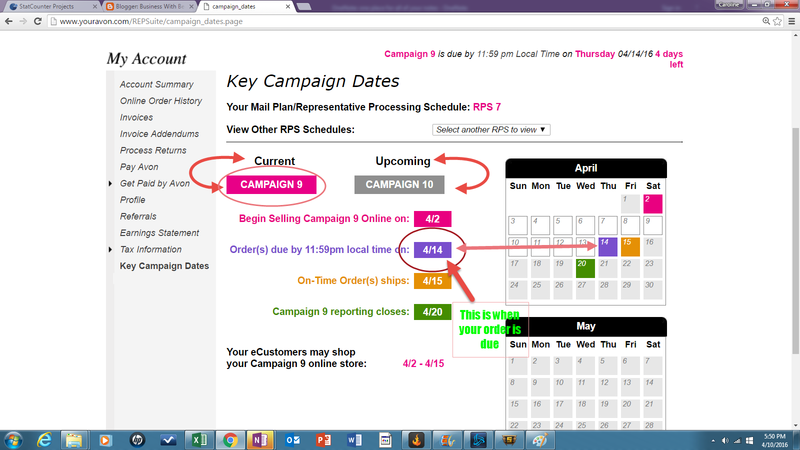 RPS Schedule is the specific dates each mailing plan has based on where you live. Once you learn how to place your order and learn when your orders are due, training your customers to let you know what orders they want during that time frame will become easier as you progress through your Avon business. FIRST THINGS FIRST! KNOW YOUR ORDER DATE!! If you are unsure of when your order is due, there is an easy way to check and see. Now that you know when your order is due, it is time to learn to place your order. Below I have included a quick how-to video which will go over step by step the process you need to follow in order to place your order correctly. You can also find more information on how to place your order in the AVON UNIVERSITY Tab on youravon.com. WATCH THE VIDEO BELOW TO LEARN HOW TO PLACE YOUR ORDER IN LESS THAN 2 MINUTES! 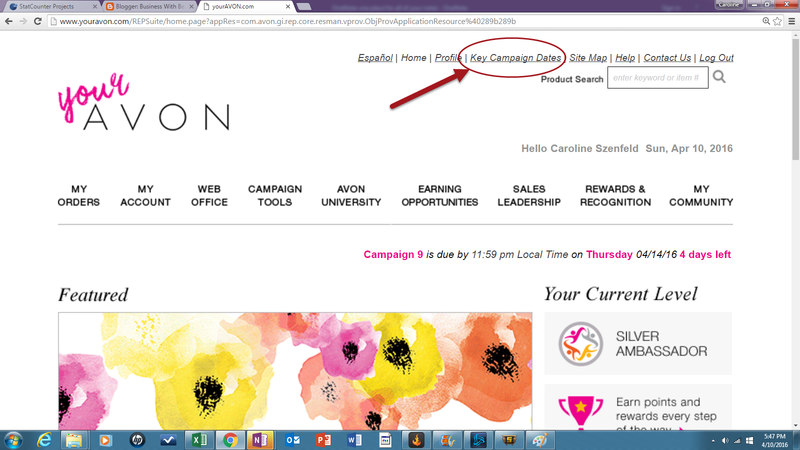 Step by Step Instructions for Placing your Avon Order! Click here now to sign up to sell Avon online! Previous NEW REPRESENTATIVES! Step 1: You’ve Joined Avon, Now What?